Furthermore, we chose Bethlehem for political and theological reasons. It is the place from which the holy family, Joseph, Mary, and Jesus, left as refugees to escape the threat of King Herod. Herod, on the one hand, still represents people in power today who viciously use their power in order to terrorise and kill others. Joseph, Mary, and Jesus, on the other hand, represent millions of refugees in the world, including Palestinian refugees who have been displaced as a result of injustice. At the same time Jesus Christ is, for us Christians, the incarnate Lord, born in Bethlehem, and the liberator who offers us new hope and life and the strength to struggle against all forces of injustice and oppression. Bethlehem, therefore, seemed an appropriate venue at a time when the Palestinians were going to commemorate 50 years of oppression and dispersion. Bethlehem stood for us as a symbol of hope, a better future, and renewed possibilities for liberation. Having chosen as conference theme “The Challenge of Jubilee: What does God require?”, the words of the prophet Micah 6.8 seemed a fitting correlation and an important guiding principle. “He has told you, O mortal, what is good; and what does the Lord require of you but to do justice, and to love kindness, and to walk humbly with your God”. On the first full day of the conference, we invited the participants to take a hard and sobering look at the past fifty years. It was important to recall and evaluate the past, not to live in it, nor to dwell on it, but to learn from it, and to gain courage and wisdom in order to confront the future. As participants looked at the past, they were encouraged to lift constantly before their eyes the words of Micah, “love mercy”. Admittedly, this is not easy for many Palestinians. It is difficult to feel merciful when one remembers the injustice. Many people find it difficult to forget and forgive. The challenge is ever before us to pray for grace to be merciful and forgiving while, at the same time, maintaining vigilance in the face of oppression and standing up against injustice. To be merciful means to be open always to the possibility of finding a resolution to the conflict that will be based on justice, a justice which will restore the humanity to both the oppressor and the oppressed. We live in a world where strict and absolute justice is not possible. Mercy must enter in without compromising the demand for justice. On the second day, the participants were exposed to the present situation. They were encouraged to remember Micah’s words, “Do justice”. We felt it was impossible to give a comprehensive picture of life under occupation within the limited time of the conference. We organised, therefore, eight different sessions covering a whole range of topics that touch on the various aspects of Palestinian life. The sessions were conducted off-campus in for community and church centres throughout Bethlehem. The participants were encouraged to attend only two of the eight, with the option of purchasing the audiocassettes of those sessions they could not attend. The topics included religious fundamentalism, Christian fundamentalism, Zionism, Christian-Muslim relations, Jubilee and the biblical tradition, the Bible and Zionism, human rights issues, economics and Jubilee, and pilgrimage alternatives. On the third day, we plan to do something a bit unusual and innovative. We wanted the participants to experience some of the contemporary stations of the cross which have become part of the daily experience of our Palestinian people. In essence it provided the living and actual illustrations of the verbal, academic lectures which were presented in the morning. 10 buses transported the participants to different sites where they experienced firsthand the ongoing injustice. The sites visited included checkpoints, demolished houses, destroyed villages, and confiscated land. At every station, participants were able to see, reflect, learn and pray. 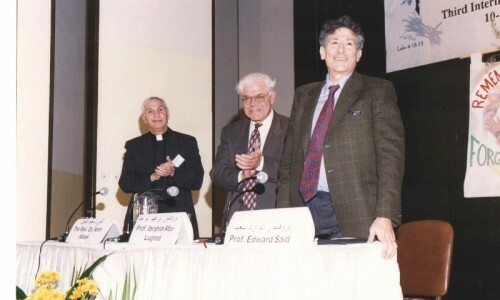 The day ended with Professor Edward Said’s keynote address which knitted together the historical and political situation with a challenge to both local and international participants to become active in making history. On the last day of the conference, we look to the future with the motto of the day, “Walk humbly with God)”. We wanted to give some answers to questions such as, what contribution can we make to adjust these? How can we use the challenge of Jubilee? How can our friends help us who experience injustice and pain? What is the vision of peace for the future, and what are the spiritual resources available to us as we move ahead? The conference concluded at St Catherine’s Nativity Church with a worship service of dedication and renewal for the work of justice, peace, and reconciliation. Someone has said that our problem today is that we have reversed Micah’s words. Instead of doing justice and loving mercy, we tend to love justice and to do mercy. Many of us are more eager to engage in works of mercy, in lending a helping hand and standing up for justice. Certainly people in power are more ready to be generous then to be just. They are keen on philanthropy but not on justice. In our Third International Conference, we wanted to emphasise the importance of doing justice, loving mercy, and working humbly with God as we lifted high the challenge of Jubilee. This volume includes most of the papers which were presented at the conference. We hope that the reader will find them stimulating and instructive. The last fifty years have brought untold suffering upon the Palestinian people. Their only sin and crime was to say “no” to the occupation of their country. For many people in the West, the success of the Zionists in 1948 was impressive. Within a few months, three quarters of a million Palestinians were displaced, and over three quarters of the land of Palestine was conquered. Some Palestinians fled in terror, like Joseph, Mary, and Jesus at the time of her, while others were forced out at gun. More recent research by Dr Salman Abu-Sitta, former member of the Palestine National Council has shown that 531 villages and towns were depopulated, and that Palestinians were uprooted from over 662 other localities. In other words, the Palestinians were displaced from over 1200 localities in Palestine. Many of us Palestinians today still recall the details of our catastrophe as children, or carry with us the memories of our parents who were uprooted from their homes. In those days the sufferings of the Palestinians did not really matter to many people in the world. What mattered was to find a home for the suffering Jews who had gone through the Holocaust, many of whom would have preferred to go to North America rather than come to Palestine, but it was to Palestine that design must wanted them to come. Approximately 35 percent of the Jewish people in the world live in Israel today. Over the last 50 years, Israel has grown and developed tremendously. Its existence, however, has been maintained by two important factors, namely, it’s for minimal military power, and the unflinching and uncompromising support of the United States. Undoubtedly, to a mere onlooker, Israel has developed in leaps and bounds, surpassing many other countries. Were it not for the basic injustice to the Palestinians, one could not help but be impressed by what Israel is accomplished for its people. It is the injustice that is the termite that eats at its core. It is injustice to the Palestinians that exacerbates Israel’s feeling of insecurity. From an Israeli perspective, it is impossible to evaluate the last 50 years of Israel’s history without a reference to the Holocaust. The Holocaust was a basic injustice done to use. The tragedy of the Holocaust, however, has been addressed rather adequately. The world has been continuously condemning it. The guilt has been admitted, the compensations have been and continue to be extended quite generously to the State of Israel, to the Holocaust survivors, and to the victims’ children. Today, when the world looks back in greater objectivity on the events of the last 50 years, many people realise the tremendous injustice done to the Palestinians. But the tragedy of Palestine has not yet been dealt with properly and adequately. An increasing number of Jews is beginning to admit the guilt, and rewrite more accurately the history of the last fifty years; but the guilt has not been recognized by the government of Israel. In fact, many Palestinians, the Oslo peace process was an attempt by the Americans and the Israelis legalise and legitimise the injustice rather than to address it justly. Nowadays, when Zionist ideology and its claim to the land of Palestine seems flimsy, it is the appeal to the Holocaust that has become paramount. The Holocaust has been used as the most convincing argument in the rationale for the establishment of the state of Israel. Yet as classical Zionism wanes, biblical signs has become a formidable force among the right-wing Jewish and Western Christian Zionists in their apologetic for the state. Be that as it may, we live today with certain important facts. The state and people of Israel are a reality, and the Palestinian people and their authority are likewise a reality. Both are here to stay. The Palestinians still seek justice and Israel still need security. If Israel will give Palestinians justice, it will, in return, receive security. There is no other formula for a lasting peace. What then is the challenge of the Jubilee? I would like to mention three points. The sovereignty of God. At the heart of the biblical Jubilee is the sovereignty of God. God is the creator and redeemer of the world. To God belongs for land of Palestine, as does the whole world. We are all tenants, aliens, and strangers (Leviticus 25. 23). We will pay the rent to God, the real loan. Once we truly recognize the sovereignty of God, we know that it has moral, social, and political implications. For many of us, this concept carries with it the vital need for sharing the land under God. We are talking about an inclusive theology of land. At the heart of this theology is the one and only God there was a God of the Palestinians, the Israelis, and the whole world, who is sovereign over all. If we accept the major premise that the land belongs to God, then, save Palestinians and Israelis have faced by God on it, both must year, and both are accountable to God. From the perspective of this contextualized this Christian theology we can very well say that this land is God’s gift to all the people of this land, namely, Palestinians and Israelis. This theology aims at peacemaking. The first challenge of the Jubilee, therefore, is to accept the sovereignty of God over the whole of this land. We believe in the one God who loves and cares for all of God’s children. God is colour blind, ethnic blind, and race blind. God sees us all as humans created in God’s image. The basic premise on which the Jubilee is built is the fact that God is a God of justice, and wills that justice be done in the world. The Jubilee year was ordained to set things right. The Jubilee rationale is that, due to humanity’s propensity to people, God’s will for the world can be thwarted and frustrated. In the Jubilee year, God says to humans, stop the injustice, stop the exploitation, free the oppressed, forgive the debts of the poor, return the land to its lawful owners. In other words, at the basis of the Jubilee is the proclamation of liberty to all the people of the land (Leviticus 25. 10). True liberation comes when justice is done. No liberation or peace is possible people live in oppression and under occupation. No liberation is possible if the land continues to be confiscated and monopolised by those in power. In this Jubilee year, God asked us to take stock of where things are gone wrong and render justice to those it has been denied. The challenge is for justice be tempered with mercy. This is clearly defined by calling on the state of Israel to withdraw from the whole of the 23 per cent of the land of Palestine which is the West Bank and Gaza, and allow the Palestinians to establish their own sovereign state on their own soil, with East Jerusalem as its capital. This is how most Palestinians today to find justice with mercy. The challenge of Jubilee is that justice must be done. In order for Israel to live securely, it has to live justly, for the last 50 years, it is lived by the power of its gun and that of the United States. It can presumably continue to do so for many years to come, so long as the billions of dollars keep pouring in, and the military hardware is supplied. Israel, however, will never be really secure until justice is done in the Palestinians. Security will be achieved when Israel accepts to live justly with its Palestinian neighbours. This specifically means to stop all confiscation of Palestinian land and to withdraw its control from the whole of the West Bank and Gaza. It must all forms of humiliation, exportation of, and discrimination against the Palestinians. Israel must treat the Palestinians as human beings who have rights to their land and to a life of liberty and peace. As we emphasise the importance of justice in the Jubilee year, we denounce the use of violence or military force as a way of resolving conflicts anywhere in the world. 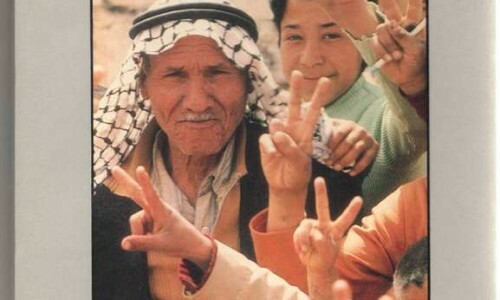 The challenge of Jubilee implies the possibility of a new era, a new beginning between Palestinians and Israelis. In other words, when the oppressed set free their dignity and humanity is restored to them, and they become three human beings. When the land is returned to its legal owners, it means that people can cultivate it and live from the gift of the land and its produce which God is given. When the debt of the poor is cancelled, they can have a fresh start with hope for a better future for themselves and their families. The Jubilee allows for new attitudes to develop and perceptions to be created. The Palestinians and Israelis will not perceive each other anymore as enemies, but as neighbours and potential friends and partners. An inter-dependency would then develop because all the inhabitants of the land would see themselves working together under God and for a shared destiny. This is a realisable dream. The Jubilee opens the possibility of a better future for all of us. This is the challenge of Jubilee. This is what God requires of us we came to proclaim the Jubilee for the jubilation of our land and all of its inhabitants. There is, however, an added note for those of us who are Christians. Our Lord Jesus Christ has given us an even higher calling whenever we think of the Jubilee. Basically he says to us that the Jubilee year should not be celebrated once every seven years or only every 50 years – it should be our daily life and practice. God calls us to a life of virtual Jubilee. We are called to work for the abundant life, life lives to the fullest. This surely means the life of liberation and peace for all people. May we fulfil our calling as we stand in solidarity, as we work together for the liberation of all the oppressed people of the world. The conflict over Palestine has been simmering for almost a hundred years, at times reaching boiling point and vacillating continuously between low and high intensity strife. Since the Madrid conference in October 1991, Palestinians and the Israelis have been attempting to achieve a settlement to the conflict through peaceful negotiations. The negotiations between the two sides have also gone through a number of stages with interim agreements marking important milestones in their journey on the road to peace. Some of the most critical and difficult issue were postponed to the final status negotiations. Chief among them are the final demarcation of orders, Palestinian refugees, water resources, Jewish settlements and Jerusalem. Final status negotiations were supposed to commence in May 1996 and span a three- year period. 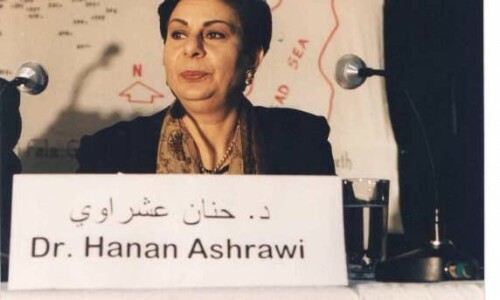 A perfunctory meeting was held towards the beginning of May but due to the impending Israeli elections no substantial progress was expected and the meetings were postponed until after the elections 29 May 1996. Jerusalem has become a microcosm of the whole conflict. Both Palestinians and Israelis consider Jerusalem to be the heart of the conflict. Each side is doing its utmost to substantiate its claim over the city. What becomes of Jerusalem, therefore, will determine whether the whole conflict will be resolved on the basis of justice or injustice. In turn this will determine whether the region will enjoy the peace and security or not. For a number of years, it has been evident that the Israeli government has intensified its efforts to Judaise and Israelise Jerusalem. Over 27,000 dunums (a dunum, 1000 square metres, is approximately one quarter of an acre) of land have been confiscated from Palestinians. Over 55,000 settlement housing units have been built for the exclusive benefit of Jews. More than 160,000 Jews have been placed in these settlements which are actually colonies referred to by Israel as neighbourhoods. These demographic changes have been carried out by Israel in defiance of international law. Moreover, Israel has insisted all along that Jerusalem remain the united eternal capital of Israel and the Jewish people. In light of these facts and the approaching final status negotiations, Sabeel Liberation Theology Center decided to call for an international conference to discuss a Christian approach and a Christian contribution to the peace of Jerusalem. The Christian approach must be placed in its broader matrix. The Christian community in Palestine and Israel has decreased numerically due to a number of reasons, chief of which is the political instability in the region. Other reasons include economic, educational, and social factors most of which are the ramifications of political circumstances. Palestinian Christians are currently 2% of the population of the land. This fact has caused many people to underestimate their significance politically and religiously. Furthermore, it has caused some people locally and abroad to marginalise and peripherise their role. Indeed, many people in the world, including Western Christians are not even aware of their very presence. Their invisibility has contributed to the rise of a modern myth that the conflict is really between Islam and Judaism, or more precisely between Muslims and Jews, as if the Christian voice does not really matter all that Christians should ipso facto take the side of Jews against Muslims. In the light of these myths and misconceptions, it was important for Sabeel to clarify the stance of Palestinian Christians, to show them their true name and face, to allow them to speak for themselves, and to make their prophetic voice heard throughout the world. It is important to emphasise that the identity of indigenous Christians is both Arab and Palestinian. At the same time they are authentically Christian and proud of our will Christian faith and heritage that was handed down to them from their ancestors ever since the first Pentecost in Jerusalem 2000 years ago. These Christians wanted a platform from which to raise their voice and make themselves clearly heard and understood. They stand for justice. Without justice for the Palestinians there will never be peace or security for Israel. Justice today is determined basically by the establishment of a Palestinian state on the whole of the Gaza Strip, the West Bank, including East Jerusalem, alongside the state of Israel. Palestinian Christians, though numerically small, have played a significant role in the past and will continue to do so in the future. Their dedication and commitment to truth and justice have been exemplary. Their influence and impact has exceeded their ratio in society. In the conference they capitalise on another source of strength. Palestinian Christians are aware that they are part of a much larger community that spans the globe. They are surrounded by a great cloud of witnesses (Hebrew 12: 1). The call to the conference was heated by a number of their brothers and sisters from all over the world. Christians of different nationalities stood in solidarity together for truth, justice and peace. Indeed, we are all called to be God’s witnesses in this God’s world as we work for justice and peace. It has to do with keeping our baptismal vows, ‘to strive for justice and peace among all people, and respect the dignity of every human being’. It is all about our faithfulness to God. Most of the speakers in the conference were Palestinian Christians along with a number of internationals. We were joined also by a few Muslims and Jews who introduced their own community’s perspectives. Sabeel, however, was not hesitant to emphasise that the conference was intended to be by and for Christians. Admittedly, Palestinian Christians and Muslims stand together in solidarity as one Palestinian people in the struggle for a just peace in Palestine. They are also joined by a number of Jews who work for a just peace. The conference, however, was meant to raise the Christian voice to power in people weather in Israel and Palestine or abroad. It was to send a message to Christian brothers and sisters inside and outside Palestine so that they might know what Palestinians themselves believe and say regarding the conflict. We, therefore, humbly submit the fruit of this international conference to our readers. It is our contribution in a continuous process that aims at saving the Palestinians and Israelis from unnecessary pain by basing the future peace on a firm foundation of justice. We plead for open eyes to see the impending dangers of injustice and for open ears to hear and listen to the cry of our people for justice. We plead for hearts and minds that are ready to commit themselves to work for a better world. We invite you to share with us this ministry for peace through justice. 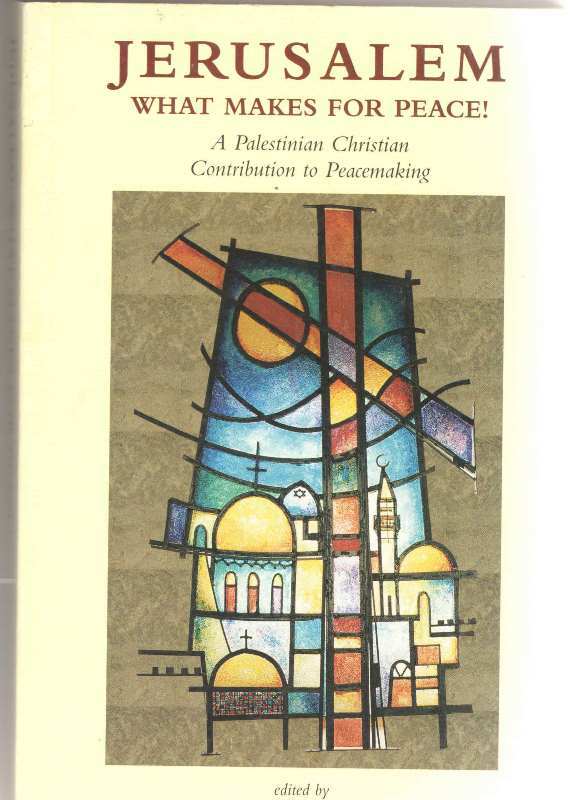 This book represents, in part, papers that were given at the First International Symposium on Palestinian Liberation Theology at Tantur, between Bethlehem and Jerusalem, during March 10-17, 1990. 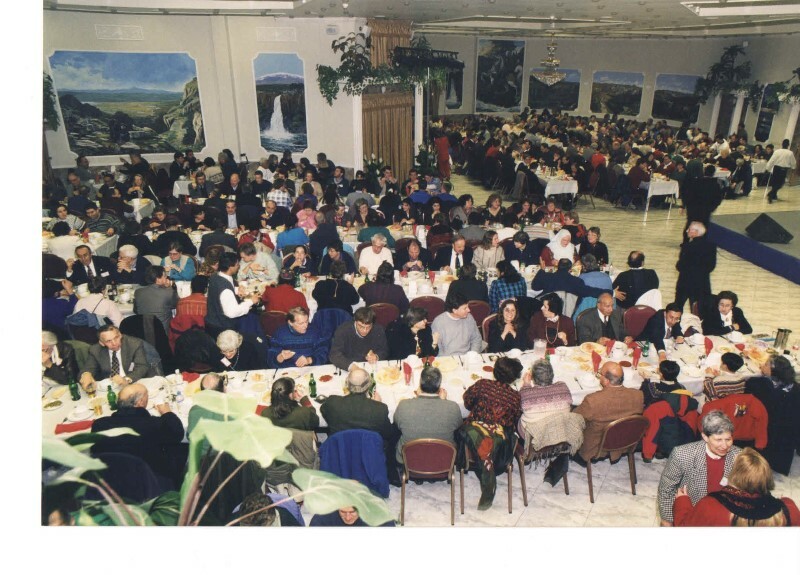 The conference itself was two years in the planning, and several workshops were held around Israel and Occupied Palestine to prepare for it. The conference was not an end in itself, but was seen as part of a process by which Palestinian Christians across all historical traditions established a conversation about their own theology, contextualized in their national struggle for liberation. 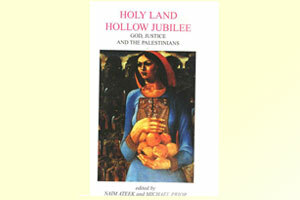 As father Naim Ateek makes clear in his opening remarks, a Palestinian theology of liberation had become necessary, not simply because Palestinians were engaged in a struggle for national liberation, for this had been the case since the time of the British Mandate and the Balfour Declaration after World War I. But this struggle was seen as a secular struggle, a struggle against colonialism and for a democratic state where Palestinians of all religions had equal civil rights. A specifically theological reflection had become necessary because Israeli and Diaspora Jews and also Western Christians were evoking the Bible and theological themes from the Jewish and Christian religions to claim a divinely-mandated right of the Jews to the land. After the 1967 war and the occupation of East Jerusalem, the West Bank, and Gaza, these religious claims became more extreme and were applied to these occupied territories. Palestinian rights were disregarded altogether by these religious Zionists. Palestinian Christians had a particular need to formulate a reply to these biblical and theological claims, since such claims came from the scripture they held in common with these opponents. This misuse of the Jewish and Christian scriptures by religious Zionism also left the impression in the minds of many Muslims in the Middle East that these were representative Christian teachings, and thus Middle Eastern Christians themselves were implicated in such teachings. Middle Eastern Christians also had to take the lead in protesting to the Western Christian churches the use of the Bible and the name of God to promote injustice. 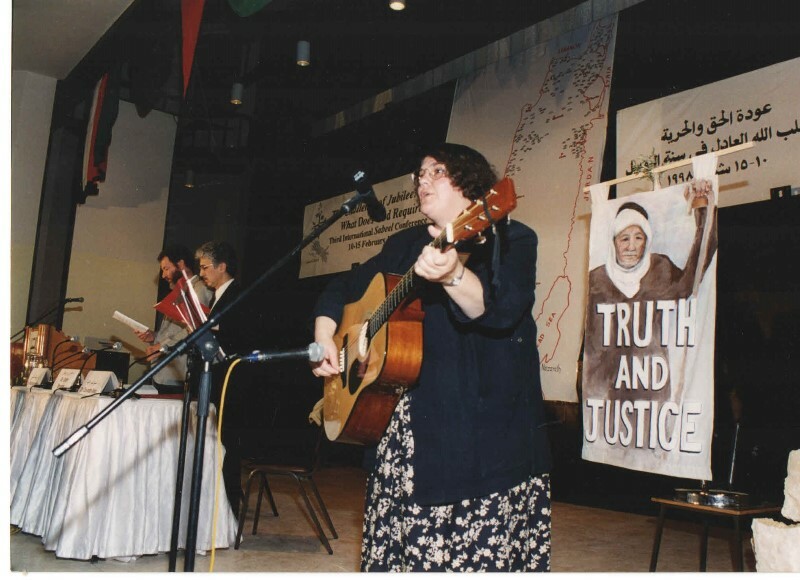 It was no easy task to develop a common theological conversation among Palestinian Christians. The Christian community in the Holy Land has been tragically victimized by the very veneration in which this region has been held by Christians around the world. Every historical Christian tradition, from Old Catholics and Orthodox to Roman Catholics to every form of Protestantism, has aspired to have its titular community in Jerusalem and in the Holy land. The indigenous churches have been continually fragmented by this ecclesiastical imperialism, dominated by foreign clergy and funding. Indigenous Christians, particularly in the last forty years, have had an increasingly difficult time maintaining their presence in their own land. The pressures to emigrate from the Israelis have particularly affected Palestinian Christians with their greater opportunities for education and ties with the West. Thus, as Don Wagner shows in his chapter in this book, there is real danger that Palestinian indigenous Christianity will dwindle to the point that only dead stones. But not a living church, will testify to their historic presence in the land of the birth of Jesus. 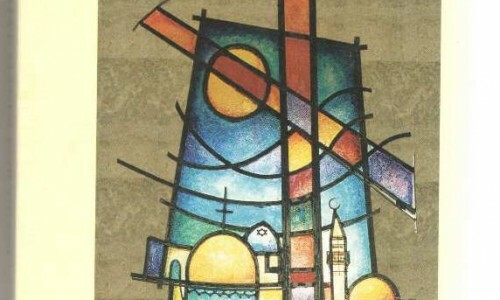 This fragmentation across all the historical divisions of church history, together with pressures to emigrate, made the task of creating a base for a Palestinian theology of liberation especially challenging. Yet this book also testifies to the success of that process. 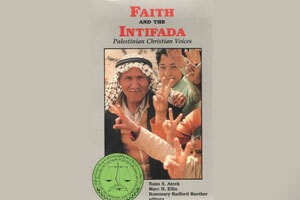 As one reads the chapters of this book, one has a sense of a common Arab Palestinian Christian voice. The fact that the authors range across denominations-Mennonite, Quaker, Lutheran and Presbyterian, Anglican, Roman Catholic, Melkite and Greek Orthodox- is discovered only by reading the brief biographies of the contributors. In the actual conference both the Greek Catholic seminary choir and the Armenian church choir provided music for the worship services. 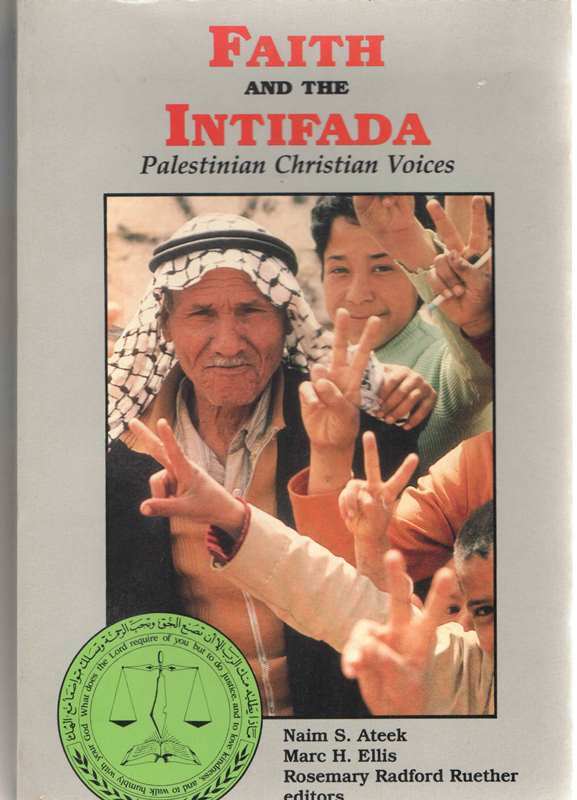 Thus one might say the first task of this conversation on Palestinian liberation theology was to generate a common sense of being the church of Palestine, the indigenous Palestinian local church. As Geries Khoury emphasizes in his chapter, Palestinians must develop an ecclesiology of the local church to overcome this historic fragmentation and to speak with one voice as Palestinian Christians. 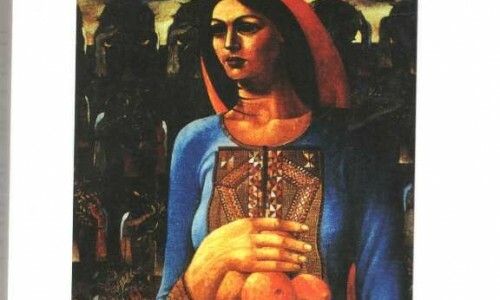 It is only in that context that it then becomes possible to discuss a Palestinian theology of liberation that responds to and expresses the national struggle for liberation. Here Palestinian people across the three monotheistic faiths, Christian, Jewish, and Muslim. This conference hoped not only to bring together Palestinian Christians, but also to assemble international representatives of liberation theologies around the world to reflect with them and to learn from them and to learn from them. Palestinians felt the need to learn from the experiences that Latin Americans, Asians, and Africans, had already had in developing indigenous liberation theologies in the context of their historical cultures and struggles for justice. 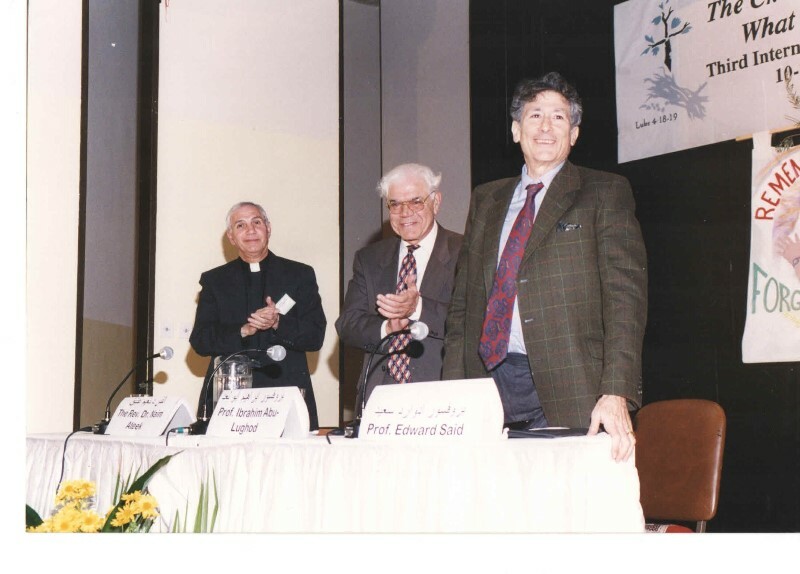 Palestinians were also aware that many liberation theologians around the world were oblivious to Palestinian Christians and to the Palestinian struggle. They thoughtlessly used themes of “exodus” and “promised land” with little sense of the negative use of such biblical themes to oppress and colonize the Palestinians. Thus the Palestinians also hoped to consciencticize the world community of liberation theologians, to make them aware of the negative underside of many biblical themes, when these are used in an exclusivist, ethnocentric sense as a theology of conquest. Invitations went out to liberation theologians around the world, to Latin America, North America, Europe, Africa, and Asia. Unfortunately, most liberation theologians were not prepared to put the Palestinian issue on their agenda. No Latin American theologian came, although many showed initial interest. Africa and Asia were better represented with Malusi Mpumlwana from South Africa, Emmanuel Kandusi from Zimbabwe, Shirley Wijedinghe from Sri Lanka, and Myrna Arceo from the Philippines. Europe was represented only by Ireland in the person of Dr. Ann Louise Gilligan. Thus in this book the section on international response is much more North American than was the original hope. 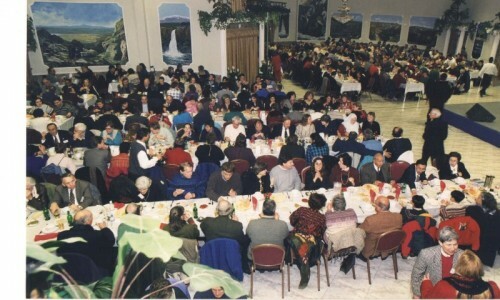 However, the first purpose of the conference, which was to gather a representative dialogue among Palestinian Christians, was well expressed at the conference and even more so in this book, since several Palestinian Christian leaders, such as Father Elias Chacour and canon Riah Abu El-Assal, who had participated in the planning of the conference, were not able to make the actual conference itself. However, they contributed papers, which are part of this publication. As is the case with liberation theology generally, Palestinian liberation theology is reflection on praxis. Therefore it begins by analysing the situation of oppression and the struggle for liberation. For Palestinians this situation of oppression is Israeli occupation, and the struggle for liberation is the Intifada, the organized uprising against occupation which has been conducted with great suffering, primarily as a nonviolent struggle, since December 1987. Thus many of the articles in this book take the form of analysing this situation of struggle. 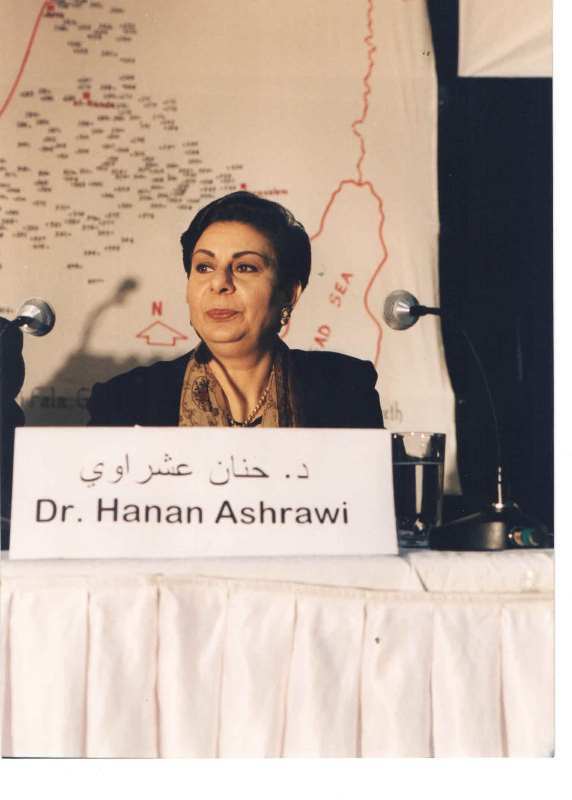 Dr. Hanan Ashrawi and Dr. Salim Tamari, both of Bir Zeit University, provide political and sociological analyses. Dr. Jad Isaac of Bethlehem University delineates the struggle for the land and the maintenance of a Palestinian agriculture, the crucial basis of Palestinian economic and cultural survival. Sameeh Ghnadreh contributed a discussion of the distinct social and political situation of the Palestinians within Israel, primarily in the Galilee, who are Israeli citizens, but suffer under second-class citizenship and continual encroachment upon their remaining land. These are the remnant of that Palestinian community that was driven out during the 1948 war when the Israelis pushed out a million Palestinians and destroyed some 450 villages, confiscating more than 80 percent of the land that had been held by Palestinians. Although the sufferings of Palestinians after two and a half years of organized uprising were extreme in March 1990, this situation has significantly worsened in the ensuing eighteen months, particularly during the Gulf War of January to March 1991 and its aftermath. The Israeli government and military took the opportunity afforded by world sympathy and diversion of attention during this war to age an all-out economic was against the Palestinians in the Occupied Territories. A million and a half people in the occupied Territories were kept under continual curfew for six to nine weeks. The Palestinian economy was devastated. Crops and animals died because Palestinians were not allowed out of their homes to tend them. Unemployment soared to 50 percent, the medical and education situation deteriorated further, and many Palestinians, particularly in Gaza and in the refugee camps, faced starvation. After the war was over it was evident that the Israeli government did not intend to return even to the conditions before the war, but rather to impose travel restrictions and continual curfews that would make daily life for Palestinians close to impossible. At the same time there was a new stage of land confiscation, the rapid building of new settlements and expansion of old ones, so that now some 60 percent of the West Bank and 40 percent of Gaza have been confiscated, not to mention the almost total control of water. That any political settlement that would trade land for peace would become impossible. Nor were the Palestinian communities within Israel exempt from this pressure. The galilee also saw new expansion of Jewish settlements, squeezing still further the diminished land available to the thousands of immigrants from the soviet union were being rushed into Israel to provide a demographic base for the take-over of all Palestine by Israeli settlement. Soviet immigrants also were victimized in this process because many had been partly coerced to come to Israel by deliberate blocking of their opportunities to immigrate to other countries, particularly to the United States, which many would have preferred. Many of the new immigrants found that the planning for their arrival was so poor that they were both homeless and jobless in Israel. Israeli newspaper reported numerous Soviet women being sent into streets as prostitutes to make a living3. Despite feeble protests, it is primarily American money that continues to subsidize this Zionist project of squeezing out Palestinians and replacing them with Jews, a process in which Palestinians are the first victims but many of the Jewish immigrants are unjustly treated as well. 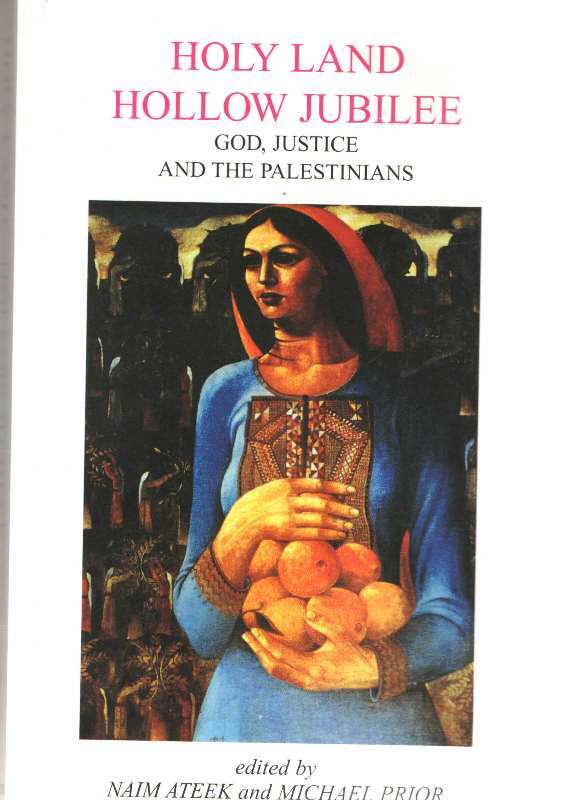 This book on Palestinian theology is thus offered to the American and English reading public at a critical time, a time which, as Jewish theologian Marc Ellis has warned, may see the end of the Palestinian community in historic Palestine. This will go down in history as one of the great crimes of Western colonialism, along with the extermination of indigenous people in so many other parts of the world. It is a particularly egregious crime because it has been one in which Western Christians have collaborated with Jews, and both have exploited the memory of past injustice and the mandates of religious faith to cover it up and carry it out. Yet there is still time for repentance. There is still time for an Israeli community of conscience to grow in Israel. During the intifada thousands of Israeli Jews crossed the “Green line” that divided Israel from the occupied Territories, got to know Palestinian people for the first time, and entered into movements of solidarity. The Israeli peace Movement began to be a movement with Palestinians, rather than simply a movement that referred to Palestinians in absentia. As Michel Warschawski of the Alternative Information Center has made clear, this new stage of the Israeli Peace Movement faded during the Gulf war primarily because it was not deep enough. It was still based primarily on seeing the Palestinian as enemy rather than as a neighbour whom one wishes to live with as a fellow human being. 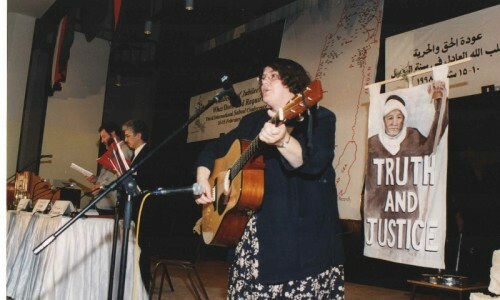 Yet the seeds were planted, and it is very much up to the world community to help support and nurture these hopeful beginnings of a new community of Palestinians and Israeli Jews who have determined to create the conditions of authentic justice and peace. These conditions begin when the Palestinians are recognized not as stereotypical enemy, not simply as victims, but as a people with great heart. This people has extended the hand of friendship to Israeli Jews and is ready to find basis of genuine justice and peace, based on an affirmation of the rights of both people to share the land they both love. But the Palestinians – Muslim and Christian- and the Israeli peace community cannot create this change by themselves. The world community must finally say “Yesh Gevul” (enough”) to subsidizing land confiscation, settlements, and the destruction of the Palestinian community, and yes to an international peace conference under the United Nations. 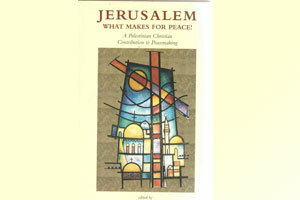 The chapters of this book represent this Palestinian hand of peace with justice extended to the world. The time for an adequate response has grown very short!